If there’s one thing New Zealanders are passionate about (other than rugby) it’s the origins of its national dish, the pavlova. But for a nation so keen to worship this sugary dessert, it’s remarkably difficult for visitors to find it in restaurants. 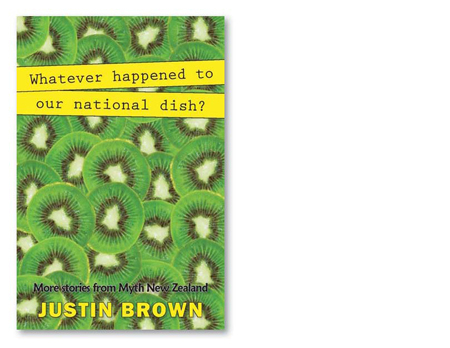 In this collection of stories, author Justin Brown sets out to find the ‘real’ New Zealand (and a plate of pavlova). 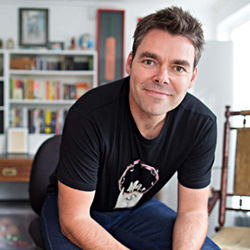 Having turned 36½ and discovered by chance that’s the age of the ‘average’ New Zealander, Brown figured it was time he rediscovered the country he’d grown up in. Brown’s findings reveal a side to the nation you might not have expected. His light-hearted approach will make you smile as he puts to the test theories about New Zealand life. Is it true that Kiwis never complain? Or that Aussies hate them? And will he find that elusive bowl of pavlova? Other titles in the Myth New Zealand collection are The Greatest Place to Bring Up Kids? ; Some of my Best Friends are Metrosexuals; Whatever Happened to 80 Million Sheep? ; plus, Myth New Zealand (All the Stories from Series One), which includes two bonus chapters.